Growing up the quickest and easiest way to separate "real hip-hop" from "pop rap music" was to compare it to MC Hammer. Apologies to Mr. Burrell but that's the simple truth of the matter. While the cultural appropriation of Robert Van Winkle was so obvious as to be self-evident long before "cultural appropriation" was a widely used term, more careful examination was necessary for other rappers. There was a vanguard of "keeping it real" epitomized by KRS-One throwing Prince Be off stage. This was a dramatic example of hip-hop culture protecting itself from being co-opted that generally presented itself in a more playful yet equally pointed way. If somebody sounded like Hammer they were cornball acts who deserved "The Gas Face" for trying to take rap pop. Over a quarter century later the debate about rap going pop is no longer possible - it popped a long time ago. Shawn Carter, Marshall Mathers, Dwayne Michael Carter and Onika Tanya Maraj among others took dirty, grimy, violent and sexually profane raps mainstream with a few well chosen radio edits and sold it by the tens of millions. 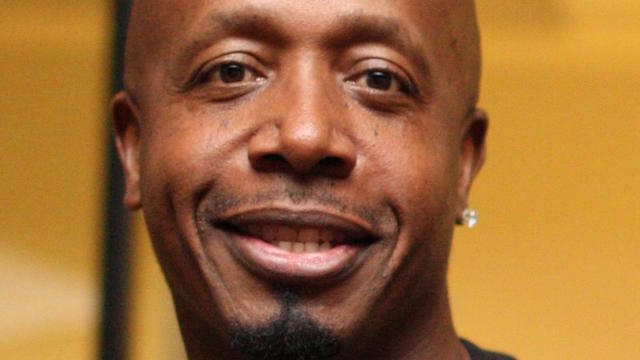 Their record sales have long since dwarfed the lofty plateaus that the parental pop radio approved MC Hammer reached at his "Please Hammer Don't Hurt 'Em" peak. Their success was paved by everyone from N.W.A to 2 Live Crew who sold millions of records WITHOUT parental approval. The "advisory" to warn impressionable young minds away simply made the raps of artists like the late Tupac Shakur that much more enticing. The market forces at work forced rap music and hip-hop culture from outsider status to the mainstream, and while underground emcees could still brag about "keeping it real" what played on the radio kept getting "realer" by the day. So here we are in 2018 with no discernible difference between commercial and underground rap other than the number of units moved. If you can't buy it in stores you can hear it on Spotify, download it on DatPiff, or stream it on YouTube. Artists don't even need record stores any more - they can sell it to you directly through Bandcamp. With a thumbprint you can instantly purchase it on Amazon and add it "to the cloud" or download it and sync it to your smartphone. Migos is just as much pop as Miley Cyrus. The vanguard is now the old guard, easily dismissed by a younger generation as bitter and crusty, an irony that should not be lost on anyone given KRS-One once rapped "old school artists don't always burn [..] now it's my turn." Each generation gives way to the next and the world keeps on turning just as our sun keeps on burning. Everything revolves and evolves and you can't stand in the way of progress. I have an uncomfortable relationship with nostalgia. Sometimes I reminisce about the days gone by while other times I point out good old days weren't so good after all. Today as I write this editorial I'm having one of those moments of conflict, stuck at a crossroads where I'm not sure how I feel about the direction things are going. I'm not one to stand in the way of change, and if the direction hip-hop chose for itself is wavy, AutoTuned and sounds more like R&B than most singers I grew up knowing, so be it. In the back of my mind though I hear those "pop rap" records that got radio play when I was a kid. We all used to act too cool to like Young M.C., Tone Loc or Hammer. Now though the more I hear rappers who are more style than substance the more those pop rappers start to get a second look. If nothing else you can at least say Hammer was actually RAPPING. He might not have been a lyrical virtuoso with a large lexicon and unparalleled breath control, but he could at least grab a mic and flow. Not sing. FLOW. I'm not about to get so silly that I'd say Hammer is anywhere in the league of J-Live, Talib Kweli or Common in terms of rapping talent. That's obviously not the case. I realize nostalgia's rose colored glasses are making "U Can't Touch This" sound more like "The Corner" than it has any right to. Careful inspection of the verbiage of both songs reveals the numerous deficits to Hammer's work, but today I'm having one of those days where I wouldn't turn that Hammer record off. I'm fighting that urge to be the salty elder who says "back in my day" and complains that everything was better when I was young. There's still good to be had out there in rap, whether it's the artists on top of Billboard or deep in the internet's digital underground (word to Shock G), and I can appreciate Kendrick Lamar now just as much as I did Ice Cube growing up. I have to be honest though - the older I get the more those old MC Hammer records improve. I just hope that rap music continues to remember where it came from before it becomes completely indistinguishable from everything else you can play in your ear hole. I'm counting on the artists like Mr. Lamar to lead the way for the next generation.